Popcap Games in an American game developer and publisher based in Seattle and founded in 2000. Most of their games can be played for free in a limited (similar to a demo version but with far less restrictions) version, while the full copies are available for a fee. The company published games for almost all platforms out there: MAC, Linux, Microsoft Windows, Nintendo 64, PSP, Play Station and even browser games. In 2010, they announced their intention of developing games for the Android mobile platform from Google. Most of their games can run even without hardware acceleration, and the system requirements are very low. Almost any system should be able to run them without a problem. Because of the popularity and high quality of their products, Popcap Games won over 25 awards in the gaming industry. In July 2011, EA announced their purchase of the Popcap Games company for over $650 million US dollars with an additional $100 million in stock options. Popcap is infamous for their casual yet fun games. The company developed and published not one, but two of the best casual games. See which the two games are and how fierce the competition is on this market while also discovering some interesting, small yet funny games. Bejeweled is a puzzle game where you need to match at least 3 identical gems by swapping them with adjacent gems. The gems can be aligned both vertically and horizontally; once three or more have been aligned, they disappear and the player is awarded points, depending on how many jewels were destroyed. The more jewels in the combo, the more points you will get. Line ups of more than 3 gems usually leave behind power gems which gives extra bonuses when lined up with others. Although this may look extremely simple in theory, the game is very challenging and thought-provocative. Check out our complete guide. Yet another puzzle game, but this time, players do not have to match jewels, but…words. The objective of the game is to form words from the tile board; once a valid word has been created (willingly or not) the player is awarded points. The amount of points the player will get for a word depends on many factors. Some letters are obviously harder to make words with, so if you use one of these “difficult” letters, you will be awarded more points. 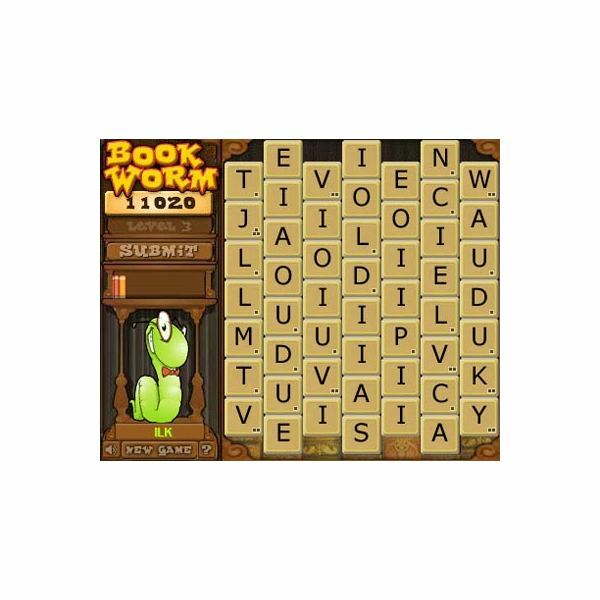 Bookworm is now available for the iPod mobile platform. Find out how you can play this awesome and fun game directly from your mobile device, and what changes had to be made to obtain portability. In this game, playable on Xbox360, you start as a small fish in a big ocean and all you have to do is survive as long as possible. Everybody will try to eat you, so the game is far more complicated than it sounds. Our complete review will help you overcome any obstacle in your way of becoming a better, larger fish. Probably everyone has heard of “Zuma” by now. In this game, you need to shoot balls in a string of other balls, slowly advancing towards your player. Matching 3 or more balls of the same color destroys the group and award points. Many adaptations were created around this game, for almost any gaming platform, but each of them has its unique features. Find out how Zuma Blitz stands out. Plants vs Zombies ir probably the most popular game developed and published by Popcap. It is fun, casual, cheap and playable by anyone, regardless of age. As a basic concept, this is a defense game; you set up fortifications with which you are supposed to defend your territory against hordes of zombies. But you will not use any kind of weapon against the undead, but rather relay on your gardening skills. The Tree of Wisdom is a special tree which provides the players with tips and tricks to help them progress through the game. Planting and growing a Tree of Wisdom is challenging, and if done blindly, it may be time consuming as well. Find out the best ways to care for your Tree of Wisdom. In Plants vs Zombies, you will be using plants to keep hordes of restless undead out of your gardens. Each plant has its own roles, its own requirements and its own reaction to the zombies. These are the top 10 best plants to use in your struggle against the undead. Always wanted to buy these shiny extras from Crazy Dave but never afford to do it? 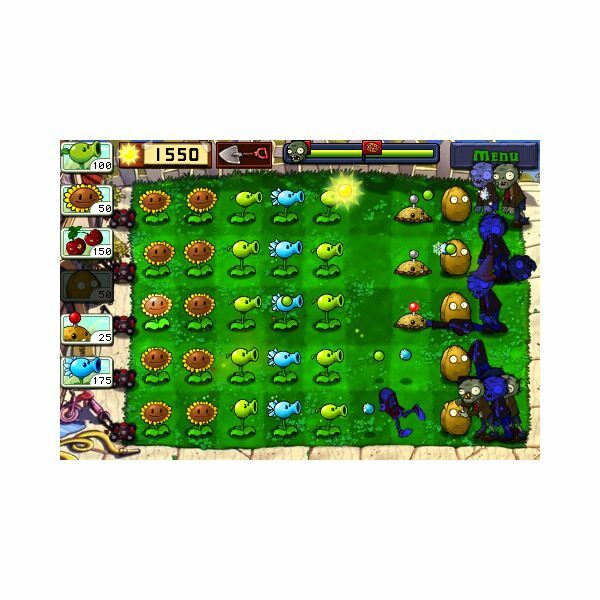 Take a look at our detailed guide for making silver and gold coins in Plants vs Zombies. This will greatly improve the game for when you struggle at higher levels. The Vasebreaker puzzle is one of the most challenging and entertaining game modes for Plants vs Zombies. It includes an endless match type, in which the player has to keep the zombies at bay for as long as possible. Make no mistake, this is very difficult; luckily, our guides will help you keep the pesky undead away from your domains. Keeping their promises to port their games to as many platforms as possible, Popcap developed a mobile version of Plants vs Zombies for the mobile platform from Apple, iOS. Plants vs Zombies was adapted to run on iPhone and iPod Touch, as well as the iPad. Find out how you can play this game on your mobile device and what is changed compared to the desktop version. Getting bored of the usual Plants vs Zombies gameplay and you want to spice up things a little? Try out some of the cheats Popcap included in the game, and experience a new dimension of Plants vs Zombies. This will help you get past some of the tougher levels, in case you get stuck. Due to the enormous success of the first Plants vs Zombies game, Popcap is now developing the second game in the series. Take a look at what could be changed, what could be kept intact and what could be added in the second game to further increase its popularity and success. Plants vs Zombies 2: What Do We Want? Stinky the Snail: Plants vs. Zombies. Does Stinky the Snail Pick Up Coins When the Game is Not Running?